Her hands caressed the aged photograph, careful not to press too hard and crack the curling, framed edges. Her finger landed softly on the image of a tiny brown face, smile stretched wide to reveal sparkling white teeth. “That’s me,” she said with the exact same smile 62 years later. Click here to see our photo gallery of The Mary B. Mullen Bible Camp. Established in 1906 by missionaries Ida Ingraham and Mary B. Mullen, the camp sits on 52 beautiful acres, mostly wooded. A cleared section toward the front of the property offers glorious long-range mountain views and houses the chapel, an office building, the dormitory, an outdoor pavilion and kitchen, a playground, basketball court, and storage buildings. Despite suffering two fires (1916 and again in 1922) and brief closings because of financial difficulties (1943 and 1952), the people of this community refuse to give up and believe in continuing and growing the legacy of this historic landmark. The land was gifted by the Missionary Alliance Church headquartered at the time in New York. Mary B. Mullen, an avid missionary worker for the Alliance, had narrowly escaped death while on a mission in Sierra Leone and her church was not about to send her back into the fray so quickly. It made sense for her to head up the establishment of the Bible Camp in Lake Lure to share the gospel in this rural, rugged mountain town. Along with Ida, Mary and many area African American farmers and their families built the camp, initially called The Mullen Bible Training School. Early founders referred to the camp as Holy Ground and even today, there are many that speak of its inspirational qualities. “Uncle Nuben Freeman, a former student would not come on the campus without taking his hat off,” Yvonne said. 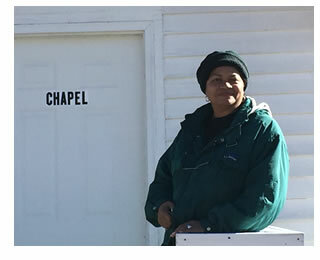 The local St. John’s Missionary Baptist Church worked closely with the camp from the beginning and maintains an active roll in its rebirth including regular monetary collections. Many of the volunteers were members of St. John’s and took it upon themselves to watch over the place during its years of dormancy. 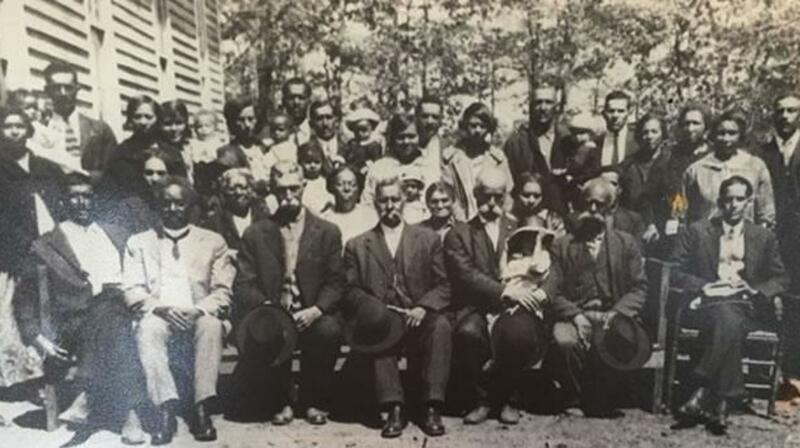 The camp hosted all manner of community and spiritual events, Bible schools, summer Bible camps and revivals that drew the residents of Bills Creek closer together. In the late 1940s, it reopened and was used as an adult religious education facility by veterans under the G.I. Bill. During the Civil Rights movement, the camp became the first African American grade school and later one of two African American high schools for Rutherford County. It was incorporated as the Mary B. Mullen Camp, Inc. in 1988 and gained 501(c)3 status in 2007. With a new, re-energized board of directors and a slew of committed local volunteers, the rebirth of the Camp turned from dream to reality. Time and nature had taken its toll on the facility and many of the 1940-era buildings were unusable, she said. Yvonne, along with her board and neighborhood friends and family worked tirelessly over the years to bring life back to the camp that had served its community both practically and spiritually for generations. Each building holds years of treasured history and tells a story of how a community struggled, strived, and thrived together. There are original bead board walls in the chapel and the office as well as the wood floors. The sturdy, freshly painted dormitory still holds the tales of summers past in its block walls. Mounted photos and drawings give visitors a pictorial stroll through time of preachers, teachers, students and visionaries that graced this camp and left their mark for future generations. Behind the pulpit in the chapel a small room opens up that was once the principal’s office. This room serves as beacon of opportunity for a people that yearned to learn, to excel, and to dream. The people of Bills Creek have grown up with this camp; they are intricately, historically, and spiritually tied to its unspoken promise of hope and unity. “This place is near and dear to our hearts,” she said. Their dream is to open up the sacred ground to a new generation of families. The long-term plan is to create a community facility for the county and beyond by providing a retreat and conference center, summer camp facilities; recreational facilities, walking trails; picnic facilities, reunion and meeting facilities, a library and classroom for workshops, an auditorium for seminars as well as providing tasks for mission groups. Recalling her first Sunday School lesson here, she tells of the personal responsibility she feels to the camp and its success. “It was the story of Joshua taking over after Moses passed. Joshua promises to follow God’s commands if He would continue to bless them,” she said. “That’s a hint for me. I’m going to do everything right by this camp, and follow my heart and spirit to continue receiving the blessings.” She tells of the many stories from volunteers having been inspired just from working here and how she knows that God has a plan for this place. The board hopes to see people of all ages ranging from preschoolers to senior citizens including at-risk kids, and individuals with moderate handicap conditions utilizing the camp. The offerings will eventually include activities such as seminars (self-improvement, leadership development, team building, self-empowerment, etc. ), arts/crafts, and computer technology. Currently, families and groups can enjoy a softball field, basketball court, horseshoe pits, corn toss games, pickleball court, playground, a huge pavilion, shower house, 12-room (42 beds) dormitory, chapel, an office, storage facility, dining room and kitchen.